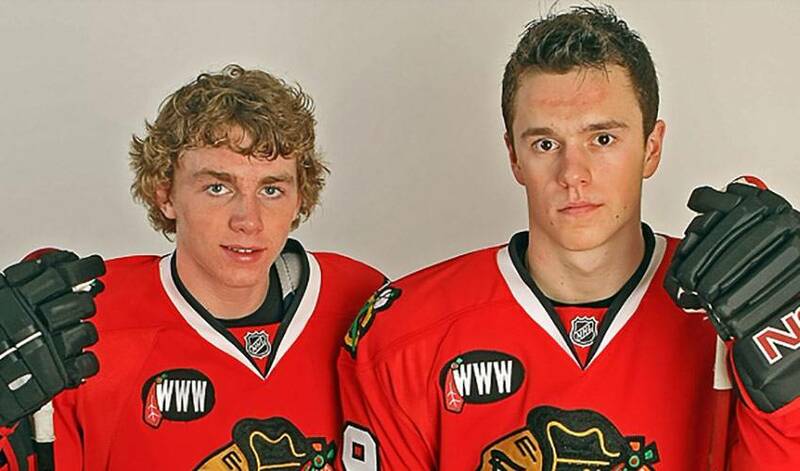 Jonathan Toews and Patrick Kane are two of the closest teammates in the league. From the moment they shared their first taste of NHL action in 2007, after being drafted 3rd and 1st overall in the 2006 and 2007 NHL Entry Drafts – the two of them have been inseparable. In 2007-08, when a rookie Toews was second in goal-scoring for the Chicago Blackhawks, fellow rookie Kane finished in third, right behind him. And in 2010, when Patrick Kane was selected as cover athlete for EA Sports’ NHL 10, Toews made history by being chosen to be the star of NHL 11. It marked the first time in EA Sports history that two players from the same team starred on a video game cover for two consecutive years.